Creating a new project is as simple as coming up with a name and a description for a project. 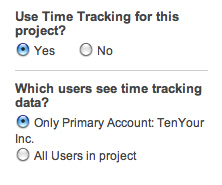 and then select which company will have access to the Project’s information. You can narrow it down to specific people within a company also. On your LaunchPad, under active projects (admins only), you will see the new Project Templates and click Add New Project Template. Name it, enter the tasks to be shared in future projects and you are done. If you want to see what someone else on the team is working on, head to “Team Tasks” in the upper left hand corner of the screen. 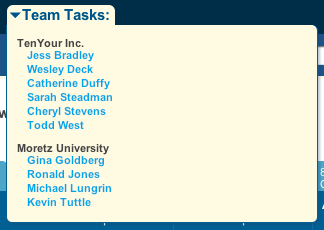 Scroll over “Team Tasks” and a drop down list of all people will appear. If you click on a name, you will see that person’s tasks. Hovering your mouse over the settings link will give you a 5-item drop down menu. First is Billing Info. 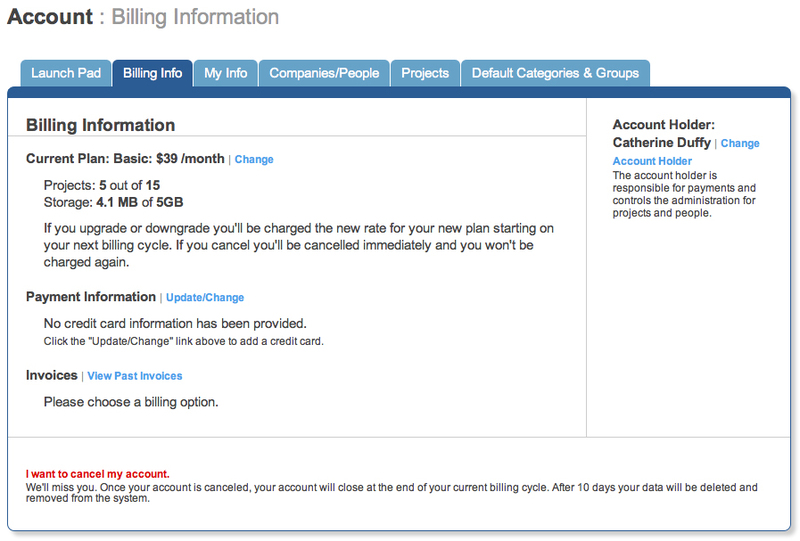 Billing Info displays current plan and paying and billing information. It also gives the option to cancel your account. Second is My Info. My Info is the screen where you can edit your name, email and password. 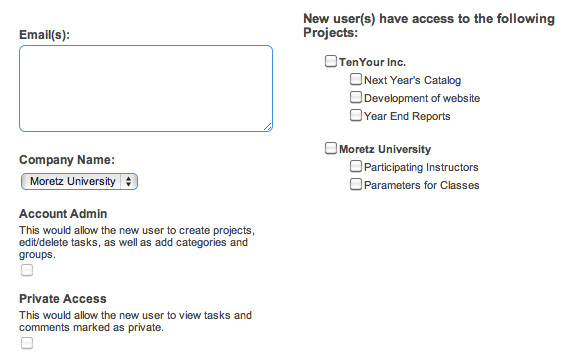 Third is Companies/People, which allows you to organize, edit and add people and companies. 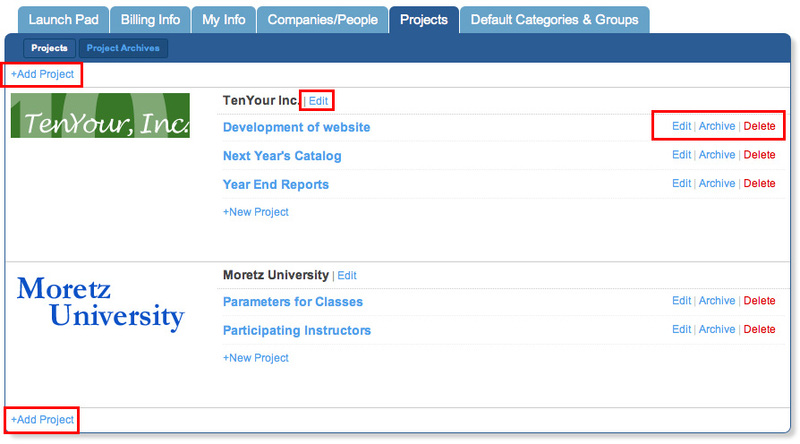 To edit the Company information, simply click on the company name and you’ll be taken to an edit screen. 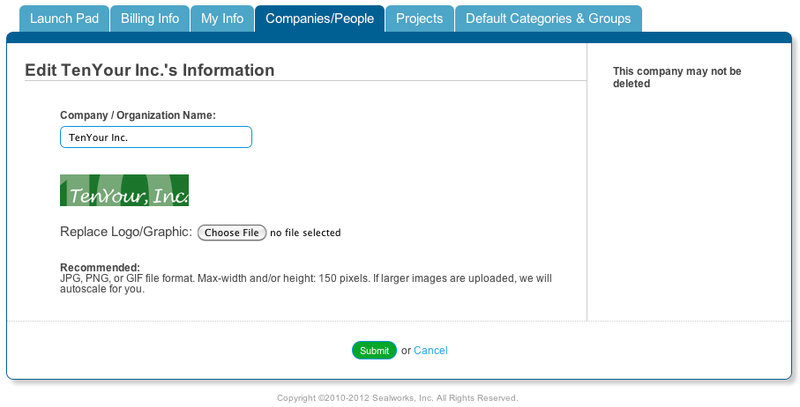 To add a company logo, click “Add Company Logo Here” and upload an image from the company. 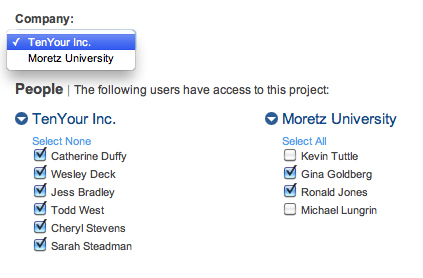 To add a person to a company click the “+Add Person” link. You can then enter a person’s email address and account levels and permissions. An e-mail invitation will then be automatically sent to them. 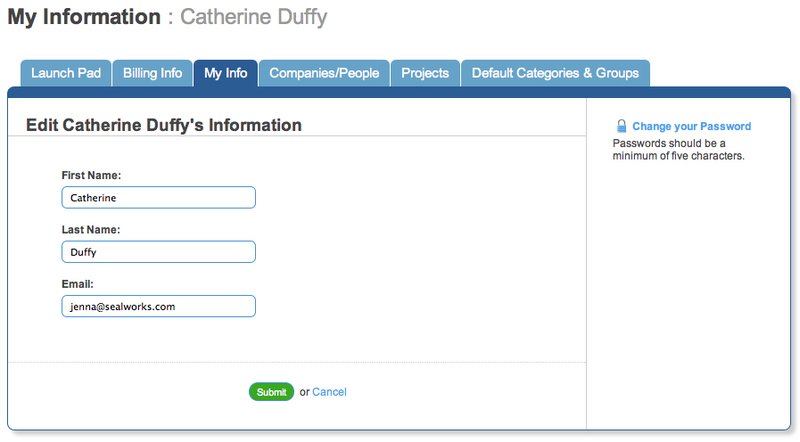 To add an entirely new company click “+Add Company” in the bottom left of your screen and fill out the form. Last is Projects. Here you can add, edit, and delete a project. You may also edit the company associated with a project or archive a project.